Imagine walking down a dark, strange corridor guided only by intuition. If you are very lucky, you might reach your destination unhurt. If not, you will inevitably stumble and fall. What would happen if you are guided along the same corridor by somebody who is familiar with its every nook and corner? What if your guide switches on the lights along the path one by one? The journey suddenly turns pleasant. You become confident. There is a spring in your step. I was walking along a dark alley and now I have light shining upon my path. The guide I have been blessed with is Anita Nair. I started writing in 2013.I have been published in four anthologies and a novella till now. My blog has never seen a dull phase from the time it was born. Writing is the purest pleasure for me. The paperback of my debut novel ‘Without You’ was published in June 2015 by Write India Publishers. I self-published the eBook version on Amazon Kindle in September 2015. The eBook has remained in the top 10 bestseller list in its category (Fantasy, Futuristic, and Ghost) on Amazon India and also entered the top 100 bestselling books in Romance every now and then. Strangers wrote to me telling how much they liked my book. I was getting positive reviews from many book reviewers as well. I was pumped with enthusiasm that I had chosen the right path. I wrote every day and completed the first draft of my second novel as well. Then something happened in February 2016 that changed everything. A review that trashed my book written by a fellow blogger (whom I had considered as a friend) surfaced online. The review was shared on Twitter, Facebook, and Goodreads and had hence entered my newsfeed. Many bloggers whom I knew celebrated my downfall on that blog by commenting how ridiculous the book sounded. Some lamented how it had become a bestseller, some wanted to burn my book and some blamed Indian authors for bringing down literature as a whole. I blocked all these bloggers who were on my friend list on social media. They didn’t take it lightly. They trolled me on twitter for doing it. It was a dark phase in my life. I couldn’t write. I felt suffocated. Sadness and self-doubt flooded my being. I wanted to quit writing. My friends and family were against it. They told me that was exactly what my haters wanted. I tried writing again. But my confidence was at an all-time low. I spent time reading and writing mundane blog posts but fiction was eluding me. I didn’t like the stories I wrote. 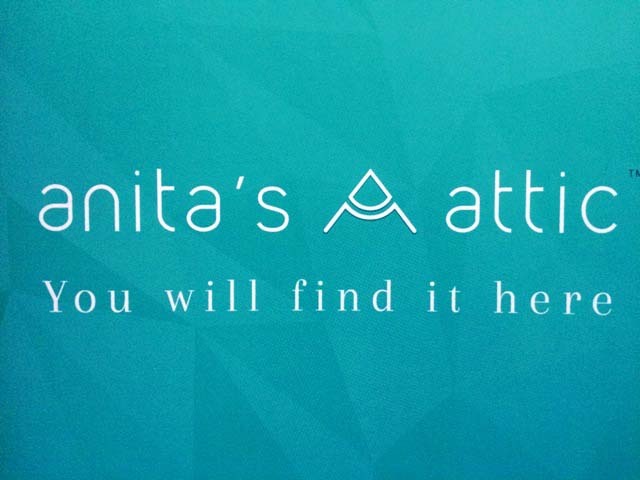 Then in June, a Facebook post about Anita’s attic grabbed my attention. Anita Nair is my favorite writer. To get a chance to be mentored by her seemed like the light at the end of the tunnel for me. I wrote for the entry prompt at the site and applied for a seat in the fourth season. Very next day I received a call from Anita’s Attic telling that I was selected. Though I got selection in July, I didn’t celebrate my selection publicly for fear that it would become jinxed. That was how much I cherished it. I really don’t know what would have happened to the writer in me if I was not selected. My confidence level is up now and the goddess of fiction is eyeing me with kind eyes again. Every class at the attic brings in new ideas. The feedback I receive from Anita guides me on the right path. I am now thinking straight. I am thankful now for that darkness which led me towards the light. Hey, Preeti. I was totally unaware of all these things happening to you. It must have been a real tough time. Don't know what the world is coming to. Why do people have to open their mouths if they have nothing good to say?! I feel you are quite talented and should be proud to be a self-made person. Just keep going, girl. Don't let the negativity affect you. Hugs! Preethi, this is so sad. Out of 100s of reviews, why did you chose to believe in only one? Some will like it and some will not. Pls do not ever give up on your writing. You deserve every praise. Even mediocre and terrible ones like me put it out there to be judged. You have seen it all. It was not about believing. It felt like a punch in the gut as it was totally unexpected. Sad to know that you were trolled! Glad that you are back. Keep going! I did feel that there was some change in your presence in Indiblogger, a kind of aloofness. This post explains it.Sad that fellow bloggers engage in such behaviour. Wishing you all the best for the future! It's disheartening to see that bloggers can do such things to fellow bloggers...i mean trolling someone! Happens. I am thankfully over that phase. It made me realize many things in the process.